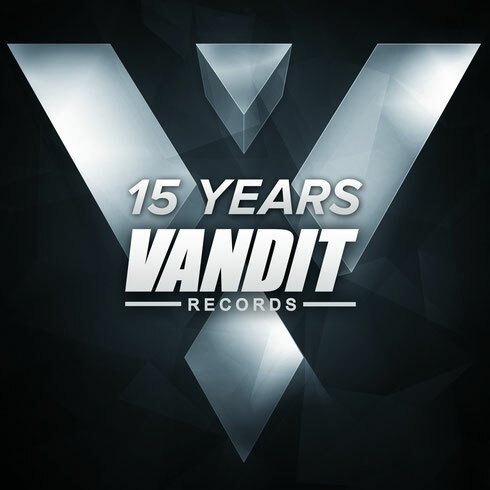 2015 sees Vandit Records, the label of DJ/producer Paul van Dyk, reach its milestone 15th year. Over the next nine months, the label will bring a run of special singles, EPs, albums and music compilations. Additionally, the label will be celebrating with a 15 Years club tour and other #VANDIT15 focused happenings to mark its decade and a half of club and electronic music culture. The first happening in the 15 Years calendar will be the release of ‘The Best Of Vandit’. Featuring a number of big-name pairings, it includes Lange & Gareth Emery’s ‘Another You, Another Me’ and ‘Eternity’ from Alibi - the first of only two times Dutchmen Armin van Buuren and Tiësto recorded together. There’s also ‘Synaesthesia’ from The Thrillseekers, Ralphie B’s ‘Massive’, Nu NRG’s ‘Dreamland’ and Jam & Spoon’s ‘Be.Angeled’. Look out also for If for Jose Amnesia’s ‘The Eternal’, Kuffdam & Plant’s ‘Summer Dream’ oand ‘POD3’ collaborator FKN’s ‘Why’. Also featuring will be Alex M.O.R.P.H.’s ‘Sunset Boulevard’, Giuseppe Ottaviani’s ‘Linking People’, PvD’s 2009 rework of ‘For An Angel’ - a track that was hailed as the eight greatest dance release of all time by Mixmag 20 years after it was first recorded. ‘The Best Of Vandit Records’ is just the beginning of an exciting run of events through the end of 2015. This summer will see a club tour, featuring stars of the label's past and present, all paying service to the catalog. The label will also have a wide range of producers and also take a look, through fresh remix eyes, at many of the tracks that have come to be synonymous with the label.